Rhodes & Cetin Lawyers is one of leading immigration law firm in Melbourne CBD. Our team of friendly and highly talented immigration attorneys and agents, work closely with clients to provide useful immigration advice. Rhodes & Cetin Lawyers is one of leading immigration law firm in Melbourne CBD. Our team of friendly and highly talented immigration attorneys and agents, work closely with clients to provide useful immigration advice on an inexpensive fixed fee basis. 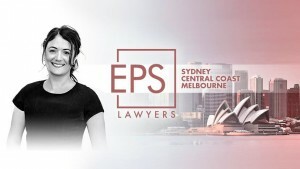 If you are looking for visa application assistance, then Rhodes & Cetin immigration lawyer Melbourne provides the right consultation in your case. ALL of our registered migration agents are also IMMIGRATION LAWYERS. Our advice is TAILORED and PRACTICAL, which means that our clients can USE it. We work on a TRANSPARENT FIXED pricing basis that is also AFFORDABLE. We convey our advice in SIMPLE EVERYDAY LANGUAGE that can be easily UNDERSTOOD. We have EXPERIENCE in COMPLEX immigration matters. There are countless reasons why you may want to migrate to Australia – for family, business, work or study purposes. We understand that the migration process can often be stressful and frustrating for those involved. Our role is to be your legal companion throughout the entire process. All communications with the Department of Immigration and Border Protection will be taken care by our professional immigration lawyers. From the beginning of your matter until its conclusion, you can expect clear advice, ongoing communication, and relentless advocacy on your behalf. You may wonder why you need an immigration lawyer to prepare your visa application. Preparing your visa application requires more than merely completing the required forms and answering questions. Even just one simple mistake may have serious consequences on the outcome of your application and ultimately your future in Australia. You will benefit from the diligence of our immigration lawyers who have the relevant legal training and experience. Our skilled immigration lawyers can provide quality representation at all stages of the migration process, including an application to the Administrative Appeals Tribunal (AAT) or the federal court system.